The Agile Values and Principles – These describe the culture and, in the Agile Manifesto, are the definition of the word “Agile” as applied to software development. I didn’t write the Agile Manifesto so I don’t get to re-define the word Agile. To give an example: in the manifesto it says “The best architectures, requirements and designs emerge out of self-organizing teams.” As a former enterprise architect at Charles Schwab, I struggled with what I saw as incredibly wasteful up-front architectural activities when I knew that developers would (sometimes) ignore my glorious ivory-tower plans! Therefore, if you are still doing up-front architecture and forcing your teams to comply to that architecture, you aren’t Agile. Therefore, as an individual, a team or an organization, you need to make a conscious decision to “BE” Agile or not… and if you decide not, then please don’t call yourselves Agile. The Agile Organization – When you start using a tool, there is a learning period. We start by being conscious of our incompetence and as we persist, we become competent… but it isn’t natural or habitual yet. Eventually, with continued use, we become unconscious of the tool. IDE’s and version control are like this in most organizations: we don’t even think about them! But getting through that initial stage requires us to change; to develop new skills. This process usually requires discomfort or pain (including psychological pain). An organization attempting to BE Agile and to use many of the tools in the Agile Toolkit will need to make many changes and often these will be difficult. For example, incorporating the Product Owner role from Scrum into your organization requires new role definitions, new performance evaluation practices and criteria, new compensation systems, new communication and reporting mechanisms, new authority and accountability processes, etc. etc. All of the changes required are about creating Enterprise Agility throughout the whole organization, beyond just software or IT. These extensive changes are often started in a very ad hoc manner, but at some point they need to become systematic. This is an important decision point for executive management: are we going to be Pragmatic about our Enterprise Agile adoption, or are we going to be Transformative about our Enterprise Agile adoption. I sometimes also call this the “Agile Ecosystem” since it is a constantly evolving set of ideas (processes, tools, resources) that does not have a clearly defined boundary. For example, the technique of Value Stream Mapping comes from Lean manufacturing but has also be broadly adopted by Agile practitioners. Just thought I would let everyone know that I am moderating a Scrum discussion group on Facebook that has grown to over 500 participants. Check it out if you are on Facebook and come join the discussion. There is currently a poll up about where people get their information about Scrum that I would love for my blog readers to respond to! NOTE: up until recently I was not taking care of all the spam on the group. The perpetrators have been warned and will be banned if they break the rules! 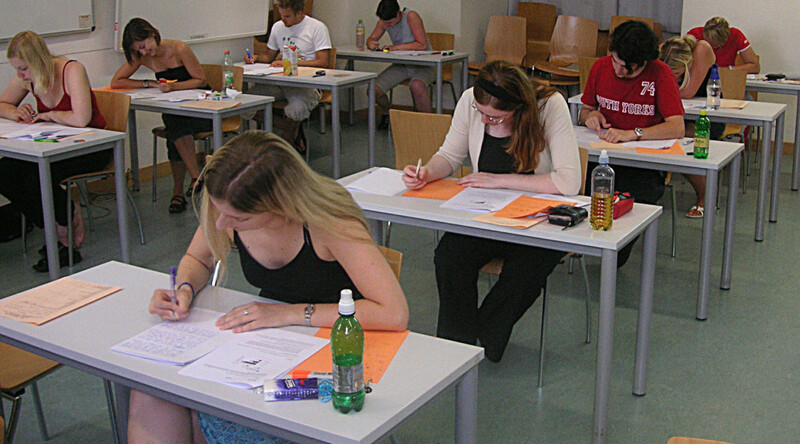 Here are a few other Agile Advice articles about Retrospectives. 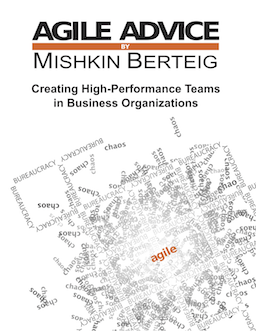 A message from me, Mishkin Berteig, that shares my personal experiences with Agile, with running an Agile consultancy, and other things that I hope will be interesting. A “Coaching Corner” article written by one of our coaches, or by a guest author, about how organizations, teams and people can become more Agile. Topics will range from technical to people-oriented, practical to theoretical, cutting-edge to deeply retrospective. We hope these articles will become a great resource – and they won’t be cross-posted here on Agile Advice. A listing of our upcoming training. We’re excited that in the fall and in the new year we are going to start offering some things besides just ScrumMaster and Product Owner training including training on Agile Coaching, SAFe (and maybe even other enterprise agile frameworks), and topics closely related to Agile such as leadership, communication, etc. And of course, a “special offers” section that will promote new products or services from us or from close partners that we think will be helpful.